A new report reveals remarkable growth in the financial technology sector with NSW now home to almost two thirds of Australia’s fintech companies. The Scaling the Fintech Opportunity: for Sydney and Australia report shows Australia’s fintech sector is booming, recording remarkable growth of 740% in the number of companies operating in the sector in the past three years. There were less than 100 fintech companies in Australia in 2014 but now there are around 579. NSW has led the way on growth with 61% of all Australian fintech companies now based here, including 59% in Sydney, demonstrating our sector strengths. The Scaling the Fintech Opportunity report was produced by KPMG for the Committee for Sydney and the Financial Services Knowledge Hub. The Financial Services Knowledge Hub, coordinated by the Committee for Sydney and supported by the NSW Government, aims to establish Sydney as a key global financial services ecosystem. The Scaling the Fintech Opportunity report shows fintech growth is being propelled by new technologies and platforms, accelerating change, falling barriers to entry, competition including from global players, a more supportive policy and regulatory environment for innovators, and changing consumer behaviour led. 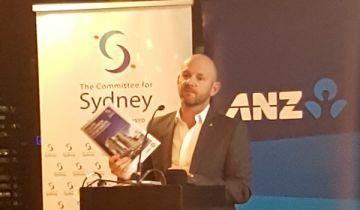 Recommendations in the report include: creating a new financial services strategy; public and private sector collaboration; promotion of Australia and Sydney as leading global fintech centres; building exports and international investment; cross industry engagement; consumer and business education; skills development; promotion of fintech hubs; and greater engagement with the university sector. The NSW Government has already taken action to commence the development of a comprehensive strategy to grow our financial services sector and position Sydney as a leading global fintech hub.